A lovely way to show off your favourite scarf and create an original and colourful piece of artwork for your home at the same time. Here is one I had framed for my daughter’s flat and everyone who visits comments on it. 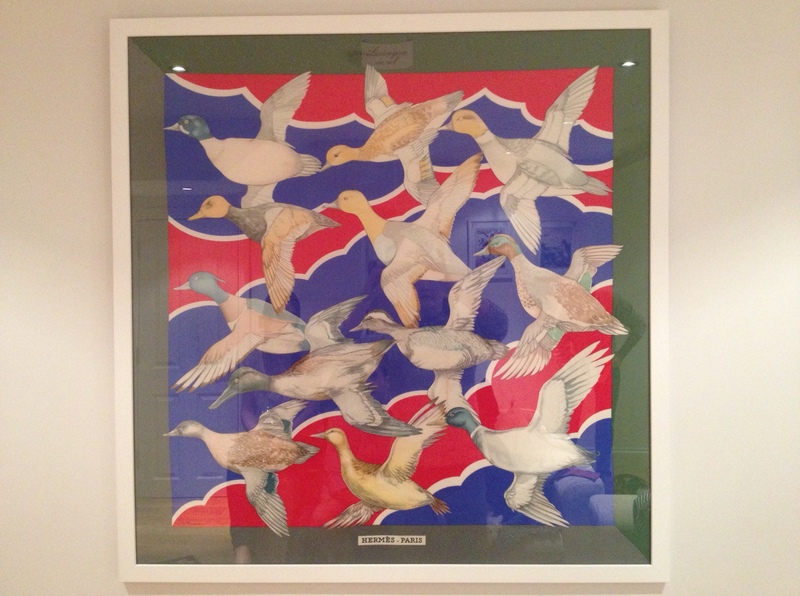 It is an Hermes scarf – their take on flying ducks! – so a bit special but there are many wonderful designs that deserve to be displayed. 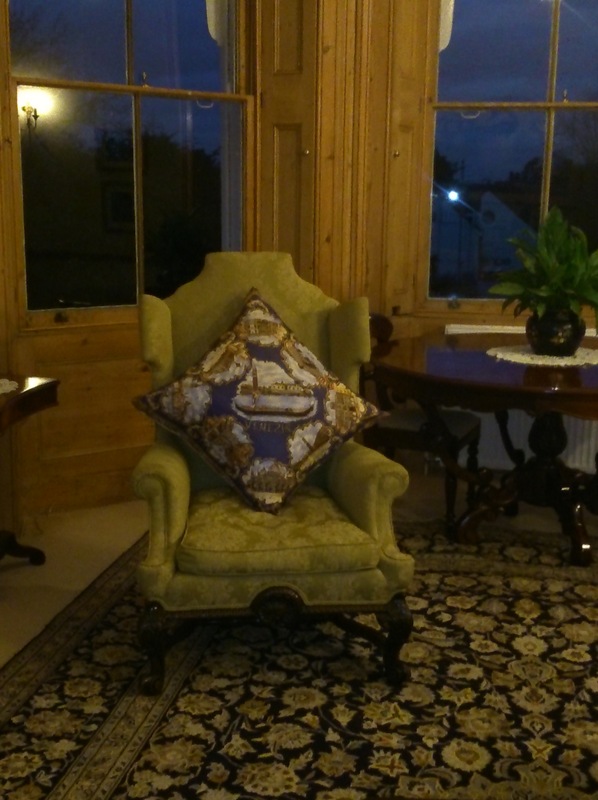 All the stallholders had a very good weekend at The Granary and one of my customers kindly sent me a lovely photo of her purchase (Venice Midnight Blue) in situ in her rather glamorous looking room. As always, many thanks go to Candida for a wonderfully organised event – view her lovely ceramics at candidaspencer.com. 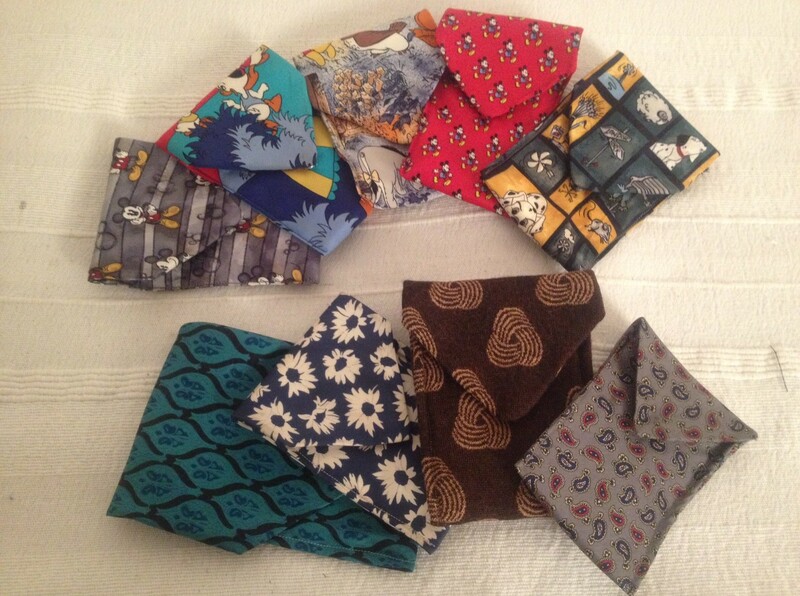 A reminder of my earlier post about the above fair, now in its 9th successful year, where I’m introducing a new range of vintage fabric phone covers to see if they fly. Made from silk ties, some feature Disney characters and others are designer makes, they fit most types of phone and are ideal as stocking fillers.